Our Dallas/Fort Worth Class of 2020 welcomed its largest class ever, with 88 new students. This is also the most international class the DFW program has ever had and the most diverse in terms of companies/organizations represented. We recently caught up with Lily Yap, a DFW MBA student originally from San Francisco, California. She received her Bachelor’s degree from Louisiana State University in Business Management and works on coordinating life-saving programs and operations for animal welfare services in Dallas. Lily was excited to see how passionate the current MBAs in her field are and looked forward to taking leadership classes. 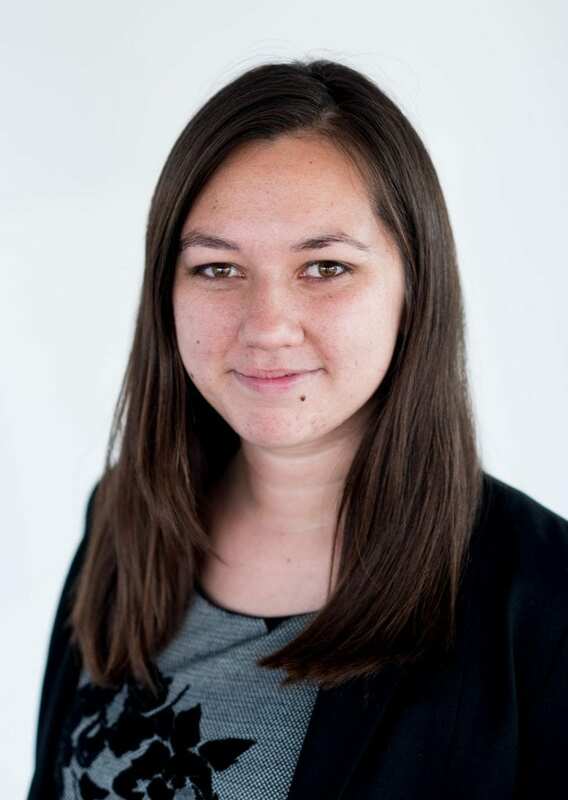 She believes classes that refine “soft” skills are extremely beneficial and looks forward to sharing her unique knowledge with other students and organizations. Our Full-Time Class of 2020 is composed of 284 impressive MBAs from all over the world. 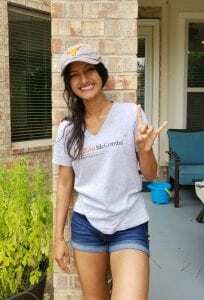 Students from outside the U.S. are a valuable part of the Texas McCombs network, bringing their individual perspective and cultural background to Austin. 24% of our 2020 Full-Time MBAs are international students. We recently caught up with MBA ’20 Guilherme Junqueira, a student originally from Sao Jose do Rio Preto, Brazil. His journey to Texas McCombs offers insight to future international students wanting to earn their MBA here. Guilherme lived in Sao Paulo for nine years where he attended university to study Business Administration with a concentration in Marketing. Before coming to Austin for his MBA, Guilherme worked at Oxiteno as a Lead Product Management Analyst. When applying to graduate school, Guilherme researched different schools and their admission process online and attended events in Sao Paulo. 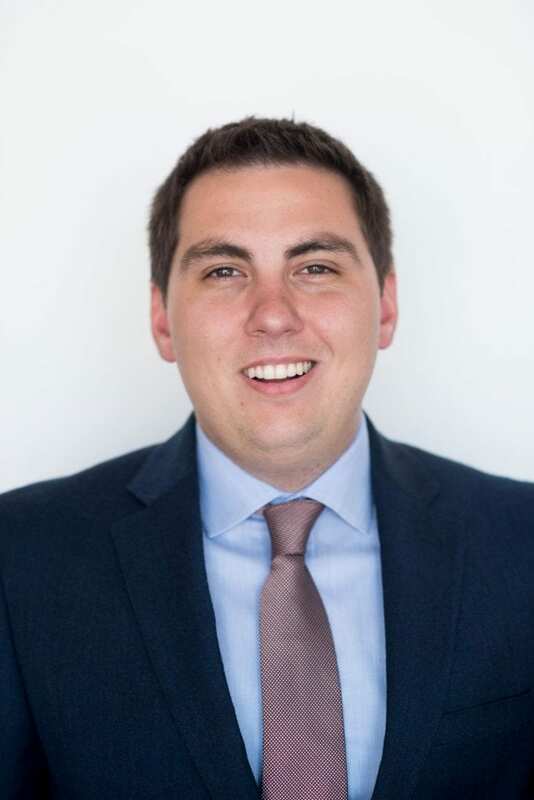 He expanded his research after taking the GMAT by attending Texas McCombs MBA events, and speaking with current students and alumni via phone calls and emails. He attended business school events in Sao Paulo and multi-school events such as the MBA Tour. For him, events offered clarity to understand the similarities and differences of each program. After being admitted, he attended company-sponsored pre-MBA events in both Brazil and the United States. The A.T. Kearney Bootcamp helped confirm and narrow his career priorities post-MBA. He found that he enjoyed participating in national career fairs, such as Prospanica, in career treks and entrepreneurship events. The following was written by Samantha Frapart, Texas McCombs MBA ’17, and originally posted in June of 2017. I thought I couldn’t get into business school. With my double-major in English and Ecology, five years in non-profits, and my natural aversion to words like “Nasdaq” and “synergy,” how could I convince admissions teams that I belonged in their MBA programs? Well, after graduating from McCombs in May of 2017, I’m here to happily debunk one of the greatest myths of business school: The non-traditional candidate. 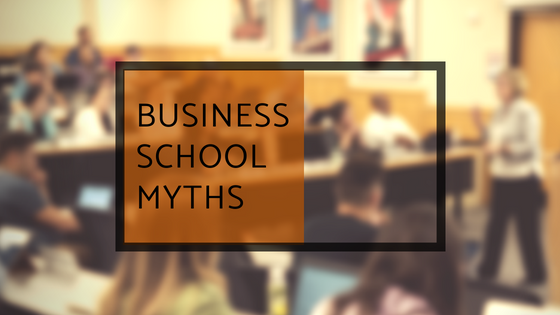 Contrary to popular belief, business programs aren’t looking for human calculators. They are looking for students eager to foster strong teams, willing to negotiate & compromise, and ready to share diverse perspectives. In management classes, I was able to add a unique viewpoint to discussions on anything from government regulations to corporate social responsibility. Though I looked to my study-team for help with my finance homework, I was able to offer equally important business lessons like proper brief-structure and design thinking. We all have something to offer, it’s just a matter of figuring out what that is and letting it shine through. Though I assure you “non-traditional” is a thing of the past, I know this process can feel daunting. So with the Full-Time MBA application currently open for the next class, I’d like to share some helpful tips from my experience (before and during business school) in hopes that it might ease your worries about applying and prepare you for the fantastic two years ahead. We have the privilege of welcoming Forté Foundation members into our MBA program each fall. The Forté Foundation is a non-profit consortium of top companies and business schools, working to launch women into successful careers through access to education, opportunities, and a supportive network. 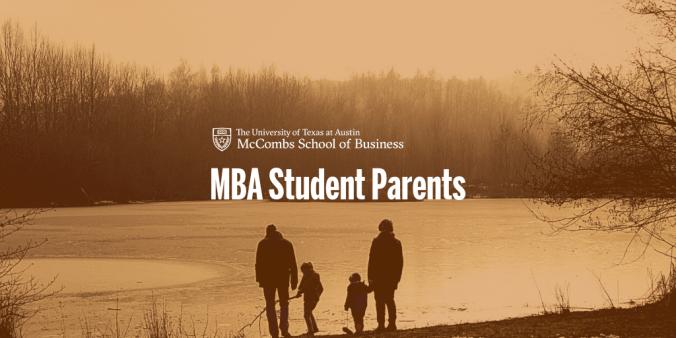 Texas McCombs has been a proud Forté partner since it was founded in 2001, and the MBA program participates in Forté events across the country every year. 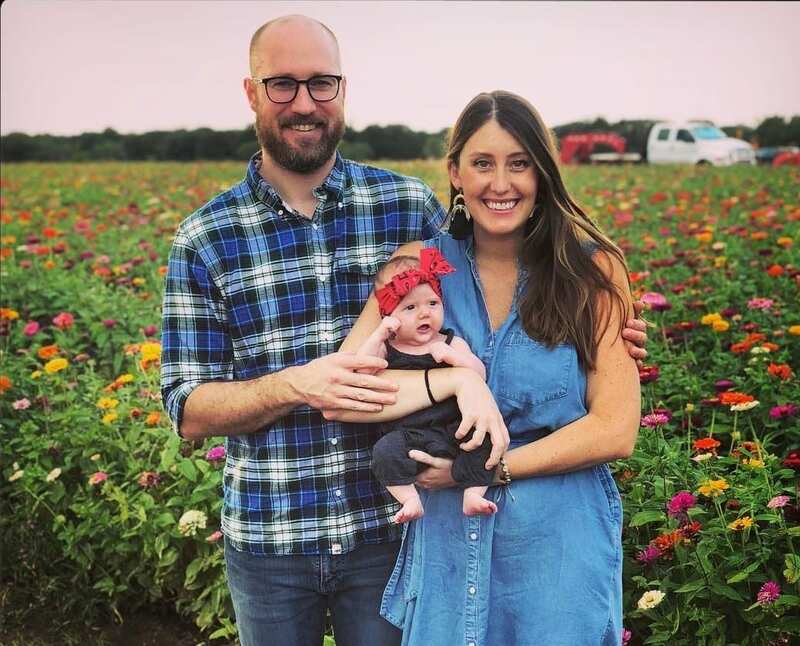 We recently caught up with a new MBA and Forté Fellow who hadn’t always planned to pursue an MBA, but quickly realized how the Texas McCombs MBA program could help to reach her goals and foster her passion for advocating for women in business. Meet Pallavi Nair! Tell us about your background– the education, volunteer or work experience that led you to want to pursue your MBA? My hometown is Rancho Santa Margarita, CA, and I have a chemical engineering background. I think what drew me most to engineering is the drive to fix problems and build solutions. After my undergraduate degree, I worked as a product development engineer at PepsiCo R&D, continuing to use this passion to drive new innovation for brands such as Doritos. At some point it became clear to me that while I loved engineering, I was also fascinated by the strategy behind how we innovated. What were the emerging market trends that were actually worth pursuing? How should we leverage the company’s global resources effectively while keeping our regional consumers in mind? I knew about unlocking new technologies, but how did we decide which technologies were worth unlocking? These questions made me realize that I would love to earn my MBA and spend time delving into these topics through hands-on learning experiences and interactions with not only great professors, but classmates who have experience in a variety of business-related fields. I want to keep creating solutions over the next two years and beyond, and can’t wait to start applying the knowledge I gain through my MBA to my problem-solving approach! What was the application process like for you? 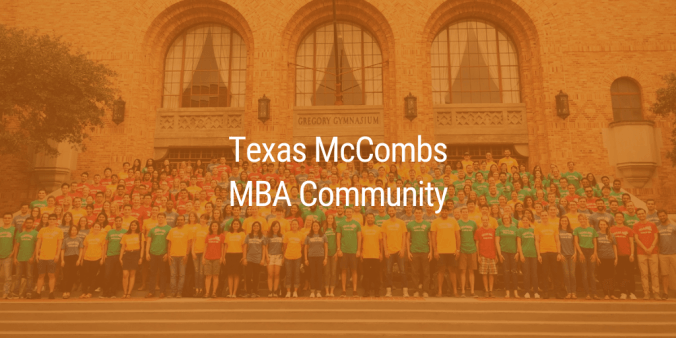 Why did you choose Texas McCombs? I think my application process was a little different than most. I did not decide until early fall that I was ready to apply to b-school; I was very happy at my current job and an MBA was not necessarily a checklist item to further my current career path. Instead, it was the realization of what truly interested me and what I hoped to learn that drove me to apply. I selected the programs I applied to very carefully, based mostly on reputation, location and program structure, and visited each of the campuses. What struck me the most about McCombs as compared to the other schools was the culture. It’s something people mention a lot, but experiencing it in person really makes a difference! I truly felt the McCombs “win-as-one” culture was very evident. The student body truly felt like a family, and the environment felt comfortable and inclusive without sacrificing motivation and a drive for success. I was also extremely humbled when I found out I had been selected as a Forté Fellow by McCombs in my offer of admittance. The desire to drive positive change for gender equality in the workplace was something I had brought up passionately in my application process, and I was very happy to know that the school saw me as a fit representative for Texas McCombs in this arena.